Word that Citigroup is teetering on the brink of break up brings a certain wistfulness to this former Citibank speechwriter. Not because intensive care is something new for the old bank — it isn’t — but because it ended up on life support by following the crowd instead of leading it. For well over a century, Citigroup and its precursors — First National, the City Bank of New York, First National City, Citibank, and Citicorp — were innovators. They didn’t just overdo the fad of the moment, as they have done with mortgage-backed securities of one sort or another: they created it. They led the Charge of the Light Brigade. New York was America’s imperial city, and Citibank was a vehicle for imperial vision by people who lacked imperial lineage. When trade followed the flag to Latin America and the Philippines, Citi was there to count the cash. The vision of the bank as a financial supermarket didn’t begin when Sandy Weill stepped into the picture; it had its antecedents in the 1920s when Charles Mitchell, chairman of the National City Bank, merged commercial and consumer banking with his “bank for all”. His vision that was still ruffling feathers six decades later, when senior vice-president Eben Pyne bitterly told me, “Charles Mitchell ruined my grandfather’s bank [Farmers Loan and Trust], and they’re doing the same thing now with these credit cards.” After acquiring Grandpa Percy’s FL&T for its retail customer base, National City stuffed customers accounts with speculative paper from Latin America. Think Bernard Madoff with widows and orphans. Walter Wriston was CEO when I arrived at Citi in 1980. Walt used to say that when he entered banking soon after World War II, it seemed like the embodiment of everything dull. Over his next years as Citicorp Chairman, he would certainly turn up the excitement. He pioneered the negotiable certificate of deposit, shepherded the career of consumer banking king John Reed, and above all attacked the regulatory and legal regime that had been erected during the Depression, all under the watchful eye of a portrait of Austrian economist Frederich Hayek on his office wall. The strategy that emerged late in his tenure was known as the “Five I’s”: institutions, individuals, investments, insurance, and information. They wanted to do it all. And to do it, Citi needed to create a level playing field. Other institutions not regulated as banks could perform bank-like functions, while banks couldn’t reciprocate. Merrill Lynch’s money market accounts, which offered interest along with checking privileges, were a case in point. The deregulation campaign provided plenty of work for the speechwriting team. Ronald Reagan’s first term, when Adam Smith neckties were all the rage, was a propitious time to turn up the heat. The anti-regulatory fever that we were doing our utmost to spread was more reasonable then than many people now credit. At the time, we liked to remind everyone that the prohibition against interstate banking dated from an era when people traveled by horse. Under unitary banking laws then current in Texas, for example, each standalone ATM required incorporation as a bank. The commercial market allowed corporations with excess cash to lend to other corporations by way of Wall Street, bypassing the banks. It seemed as though any financial company that didn’t have a bank charter was free to poach on bank territory, while we had our hands tied. Citibank was constantly challenging these constraints, legally, operationally, and, happily for me, rhetorically. Some of the ideas were just plain dumb. One was a travelers-checks-by-mail scheme that would allow consumer deposits to be collected across state lines. What was missing was any sense that consumers could actually be induced to do business this way; one thing I did learn at Citibank was that consumer behavior often failed to keep up with the brilliance of these innovators. There was a pervasive feeling that Wall Street’s profits were unjustifiably high, and that we should be allowed to compete. We needed the regulatory freedom to enter each new line of business that just wasn’t there for banks. If Merrill Lynch could offer interest-bearing checking accounts and Sears could issue credit cards and sell insurance, why shouldn’t we sell mutual funds and insurance policies in our branches? We had machines to do mindless tasks like taking deposits and dispensing cash; why shouldn’t we use our people to do things that only people can do? But as we achieved some of our legal and regulatory goals, the true prize only receded. The head of our private banking division once confided in me, for no good reason, “Do you know how hard it is to beat the S&P 500 day after day?” Citibank was discovering, yet again, that it’s hard to make a whole lot of money in banking all the time unless you’re smart and nimble enough to adjust to changing economic circumstances. Citibank was nimble of mind but slow of foot. Profitability depended on finding an occasional niche and driving a truck through it, whether it was lending to Latin America, commercial real estate, or credit cards. At some point, John Reed told us that Citibank was a credit card company with six or seven [unprofitable] lines of business. At other times the investment didn’t pay off at all. Remember Quotron, the dominant player in desktop information for brokers around the world? Even the bank’s own due diligence showed that it wasn’t worth the $1.5 billion price tag. But we wanted to buy market share in that fifth “I”, the financial information business. This transaction made Daimler’s acquisition of Chrysler look like the Louisiana Purchase. At the time, there was a former trader named Bloomberg just entering the picture. Within a couple of years, it was his name, not Quotron’s, that sat on every trading desk in the world. In the early 1990s, as its stock fell below $10, necessitating a Saudi bailout, Citibank abandoned one of its most cherished traditions, the continuous payment of dividends for more than 100 years. A tradition sustained for many years, as it turns out, by borrowed money, not earnings. Fast forward to this week: a lead headline in the New York Times business section reads, “Citigroup Plans to Split Itself Up, Taking Apart the Financial Supermarket”. The playing field is now level. Bear Sterns, Lehman Brothers, Merrill Lynch, and Citi have all been leveled by their gambles in the same lousy securities. Citibank was always a bi-polar kind of place. It alternated eras of rash and brash with periods of sober and staid, sometimes with new senior management and sometimes with the same team that created the mess to begin with. For now, the mania is over. Current CEO Vikram Pandit, described in the press as a technocrat, has put Smith Barney up for sale. It’s back to basics. Both Grandpa Percy Pyne, and now Grandson Eben, can take time out from turning over in their graves for a little schadenfreude. 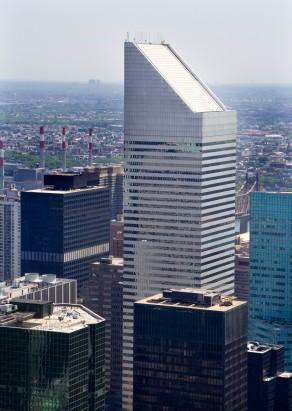 If we’re lucky, Citigroup will be just a bank… until the next time. Henry Ehrlich is a footnote to the financial history of our time. He was a senior speechwriter for Citibank for 11 years, where he served the great, the near great, and the not so great. Among other things, he wrote every speech for the senior bank negotiator during the early years of the 1980s LDC debt crisis. He is author of Writing Effective Speeches and The Wiley Book of Business Quotations . Submitted by Robert Nunap on Sat, 01/17/2009 - 17:36. The best article on Citibank I have ever read. Truly masterful, Henry. Mitchell also was the bloke who introduced consumer credit and installment buying. Think of all the misery this institution created, almost singlehandedly, and the phantom profits it spawned. I was fortunrate to have worked there (and the brokerage business) so that I could see first hand the evils of capitalism. It's an awful system and I hope the events of this year are its epitaph.